Dimensions: 6" x 1" x 0.5"
ORP Meter Water Tester, pen type measuring device for Oxidation Reduction Potential(ORP) in water samples quickly and conveniently. 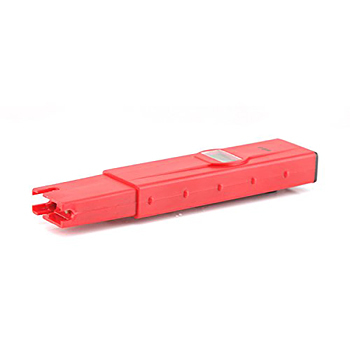 The ORP Meter Pen has a measuring range between -1999 mV and 1999 mV and can be used for residential, commercial and industrial water testing to determine ORP/conductivity in water. 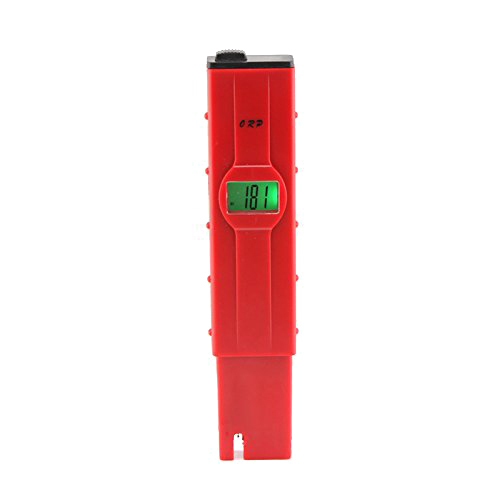 This portable redox meter is available at extremely low cost. Oxidation is defined as the loss of electrons in a molecule, atom or ion. An oxidizing agent (such as Chlorine or Ozone) is a substance that acquires electrons in a Redox reaction. ORP is a potential, measured in millivolts (mV). The more positive the ORP value, the greater the power of water disinfection, thus the faster the microorganism is killed (oxidized). Water with negative ORP value is considered to be healthy to drink. 1. Switch ON ORP Meter, rinse electrode in distilled water for few hours. 2. Immerse the electrode in 256mV calibration solution(containing 4.01 quinhydronation standard solution reagent), stirring gently. 3. Wait till LCD reading is stabilized and adjust to 265mV by pressing the potentiometer with the screwdriver. 4. Rinse the electrode with distilled water. - Periodically soak/immerse electrodes in a saturated Potassium Chloride solution(when in use twice per month) for several hours to maintain the accuracy of the ORP meter. - Calibration solution is not supplied with whole packaging because liquid and powder are condsidered dangerous.